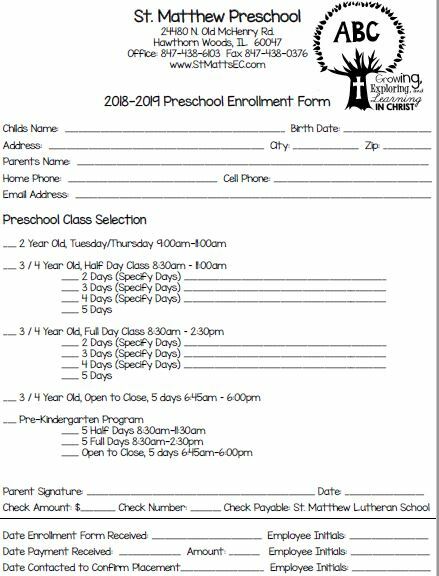 Registration for the 2019-2020 school year is OPEN!!! 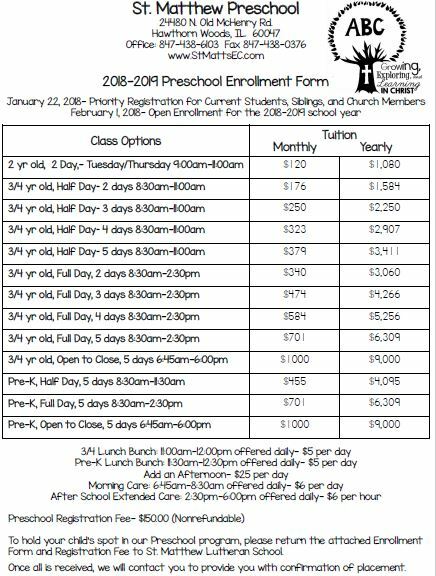 Welcome to St. Matthew Lutheran Early Childhood Center! We are thrilled to welcome your family to our community. The following forms are required by the first day of school. We hope you find these links useful as you begin your school preparations. You can also get hard copies of these forms in the School Office. There are still openings for the Spring 2019 session. Contact the school office for details.